An extraordinary five Toyota vehicles established new sales records last year with HiLux joined by four SUVs – RAV4, LandCruiser Prado, Kluger and C-HR. 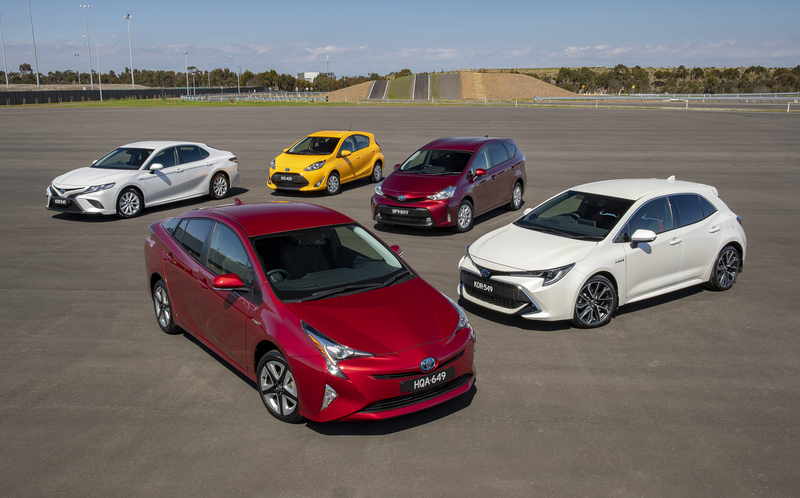 Corolla topped the passenger-car sales charts for a sixth consecutive year and Camry celebrated its 25th straight year as the country’s best-selling mid-size car. Toyota made history with its SUV sales passing 80,000 deliveries and light-commercial vehicles (LCVs) eclipsing 70,000 vehicles – both milestones achieved for the first time by any brand. Eight Toyota vehicles led their individual segments – Corolla, Camry, LandCruiser Prado, LandCruiser wagon, HiLux 4×2, HiLux 4×4, HiAce van and HiAce bus. Toyota Australia president Matthew Callachor with sales leaders HiLux and Corolla. 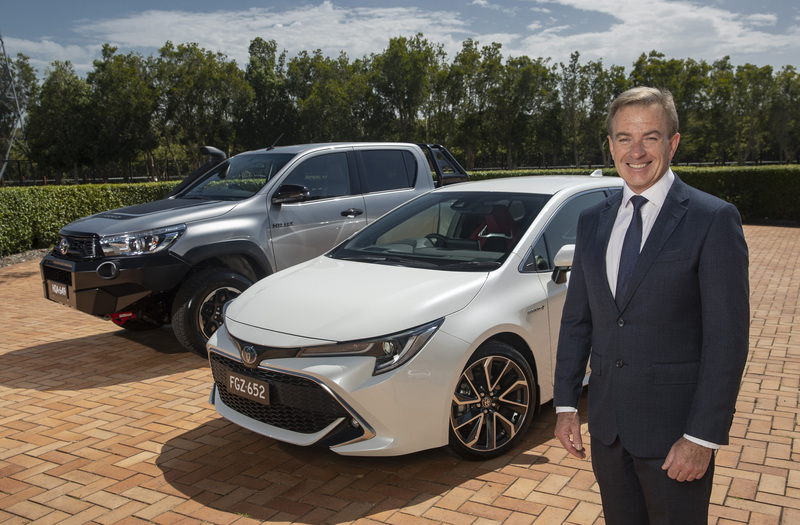 Toyota Australia president Matthew Callachor said the company’s success was outstanding in its first year after the closure of local manufacturing. “Our sales increase in 2018 and, indeed, over the past four years demonstrates the positive impact from our strengthened focus on guest satisfaction at all levels of our operation,” Mr Callachor said. “We appreciate the loyalty of so many people in the Toyota family and we are confident we can continue to earn their on-going support through our continued investment in world-leading vehicles and guest-focused initiatives,” he said. RAV4 was Toyota’s most popular SUV with a gain of 5.2 per cent for an all-time high of 22,165 sales. Click here to explore our current range on sale.